Purchase this NEW game pak @ Retrozone! 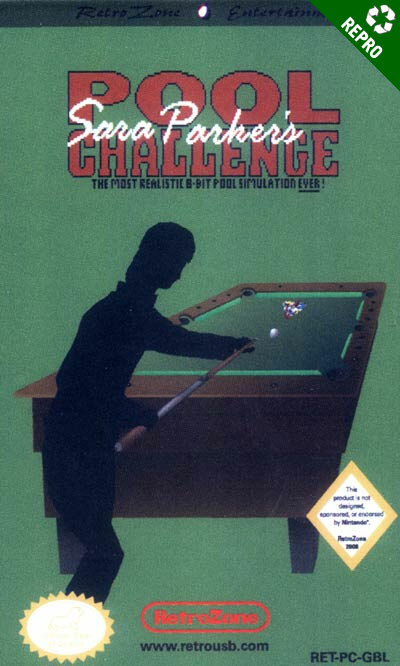 Can you become a World Champion or will you break in Sara Parker's Pool Challenge? This new pool game gives you fast-breaking styles of pool to choose from Standard, 8-ball, 9-ball, and Kelly Pool - each with realistic sound and music. Challenge up to 4 friends or play alone, this is as close to being in an actual Pool Hall. To keep things interesting and fresh, change up the table top surface to make the balls go wild! Grab your Cue Stick and get ready for the hottest billiards action around. Rack 'em up!